THE largest still-armed Corsican separatist organisation has announced it is to begin a process of “demilitarisation” to boost the Corsican peace process. 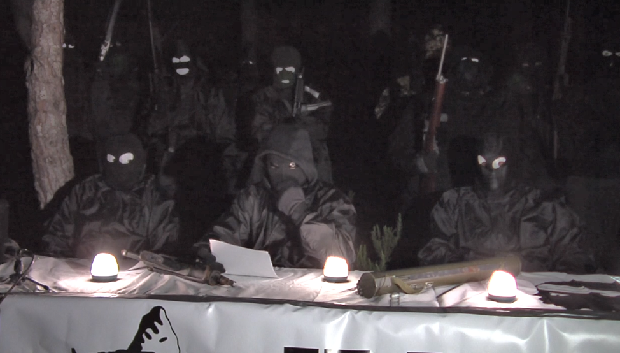 In a video released to news outlets, the National Liberation Front of Corsica – 22 October (FLNC-22) announced it was beginning a process of putting its arms beyond use to “give the new Corsican Assembly the ability to confidently manage this term in office”. The organisation, which is responsible for more than 250 bombing and shooting attacks in a campaign for Corsican independence from France, split from the larger FLNC Union of Combatants (FLNC-UC) in the early 2000s and continued an armed campaign after the FLNC-UC announced a cessation and decommissioning process in June 2014. “The accession to power by the nationalist parties in 2015 was a political earthquake. We want to help them in moving towards the peaceful building of our nation. We believe the only way to contribute to the evolution of a Corsica of the 21st century is to strengthen the peace process initiated by the FLNC-UC,” a spokesperson for the group said in the video message. The announcement has been welcomed by most Corsican political parties. The island's largest pro-independence youth organisation, Ghjuventù Indipendentista, called on the French Government to make a similar gesture of goodwill by announcing an amnesty for the more than 30 Corsican political prisoners held in French jails. ◼︎ Since 1973, Corsica has been rocked by violence as Corsican nationalists demanded their own parliament, the right to speak the Corsican language and a halt to the thousands of French who buy holiday homes there – causing house prices to skyrocket and putting them out of reach of native islanders. The island had enjoyed a brief period of independence from 1755 to 1769 before a French invasion crushed the fledgling republic. In 1980, the situation had become so serious that Irish MEPs called for the EU to intervene in the escalating security situation in the island. In December 2015, Corsican nationalists took power in the mediterranean island's parliament for the first time after a grand coalition between the two major nationalist blocs. The success came a year after the main FLNC faction had announced a complete cessation.